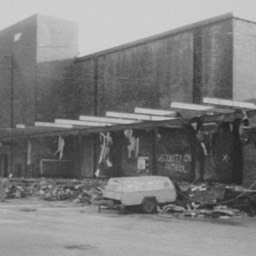 Hatfield Road has become much busier in the past fifty years, a result of the industrial zone at Butterwick Wood. But the road itself is no wider, and no changes have been made to accommodate the new junctions. 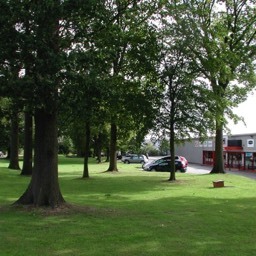 Footpath next to Ryecroft Court. 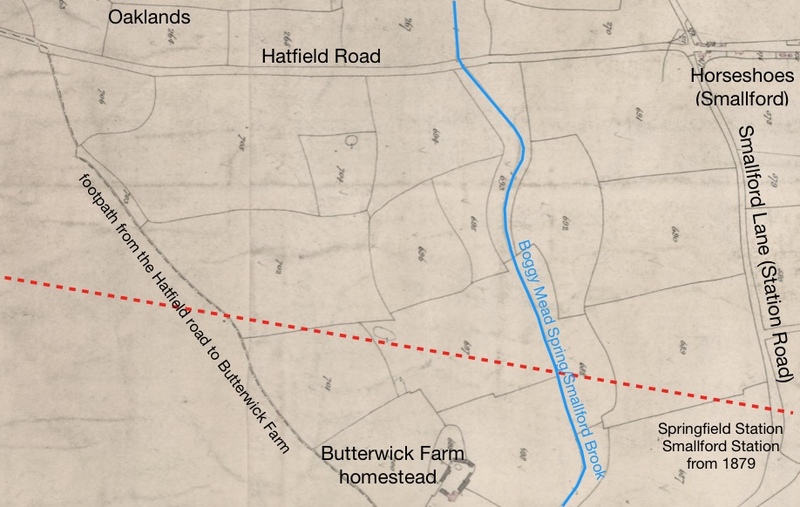 Originally connected the Hatfield road with Butterwick Farm. 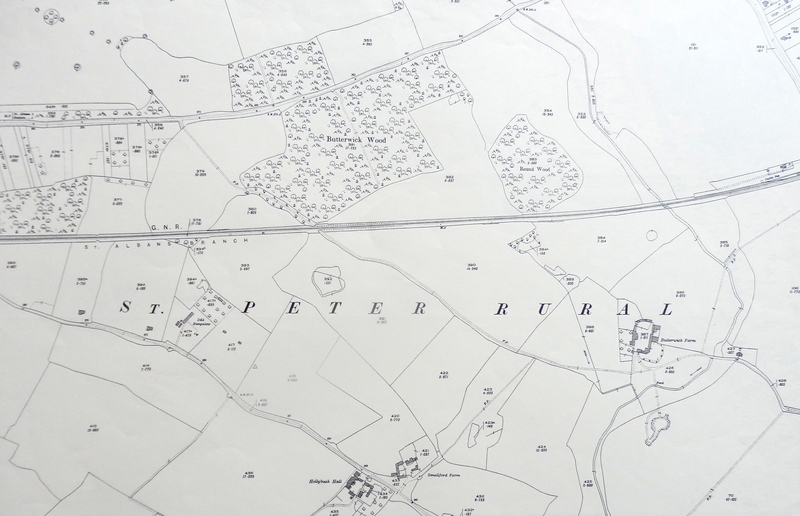 Butterwick Farm at the time of the Tithe Survey (1840) was owned by Robert W Gaussen, who was born in Hatfield. The farm had a long history associated with Beaumonts Manor, and documentary sources can be found as early as the fourteenth century. On the 1840 survey there is not much sign of ancient woodland; but the Ordnance Survey 1824 map certainly does show a large proportion of the land between the railway and Hatfield Road covered by trees. Following the partition of the farm for the railway, the land between road and track became managed woodland. 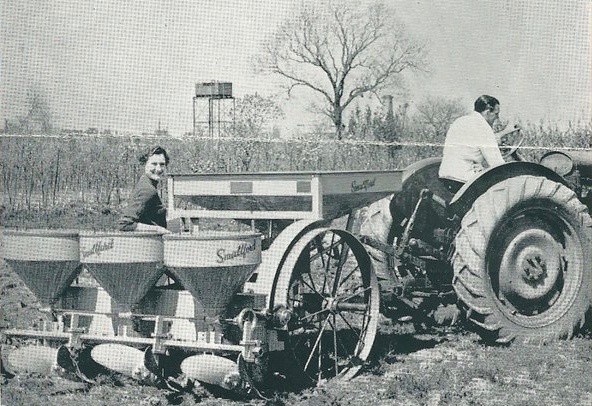 In the mid 1860s the Hatfield and St Albans branch railway bisected the farmland, but otherwise agricultural life continued as usual until the 1930s, with Sleapshyde and Butterwick farms being run as a joint enterprise until the end of the Second World War. Peace saw the effective end of farming here as the land south of the railway, which was sitting above a rich seam of gravel, was acquired by the St Albans Sand & Gravel Company. Although excavation has long since finished, no firm decisions have been made about its future. 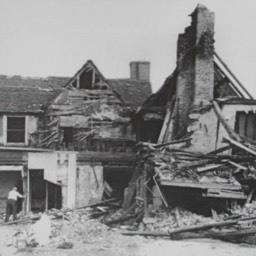 Meanwhile, north of the railway, the first building to be erected, in 1940, was a cold store for meat; one of a number to replace the central London stores as a precautionary measure against bombing. 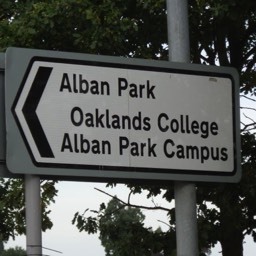 It had its own siding from the railway and road access, first via the original track and then via Alban Park, although that road is not named. 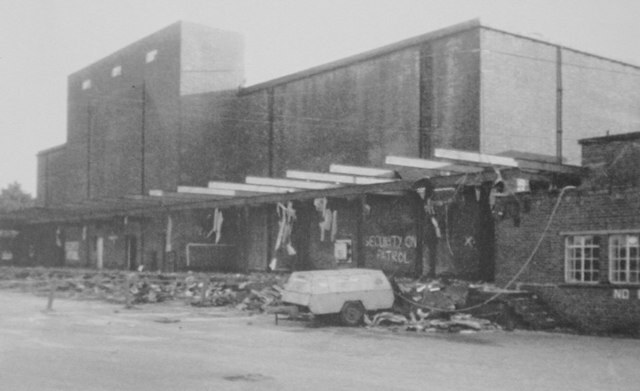 The store later became part of the British Banana Company ripening warehouse. 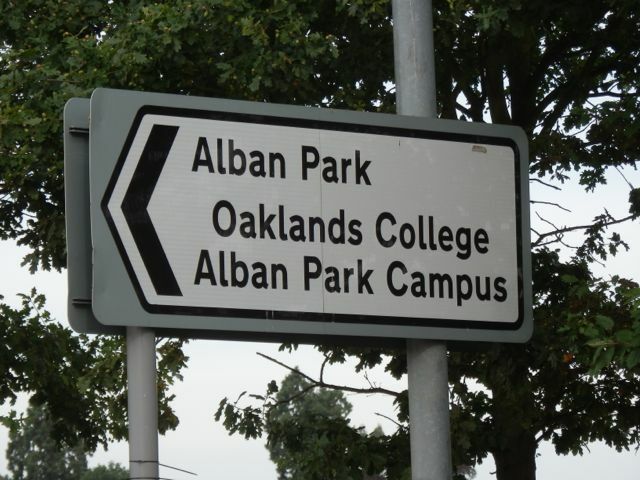 St Albans Council developed its post-war planning policy by encouraging some of the old and noisier firms away from the city centre. 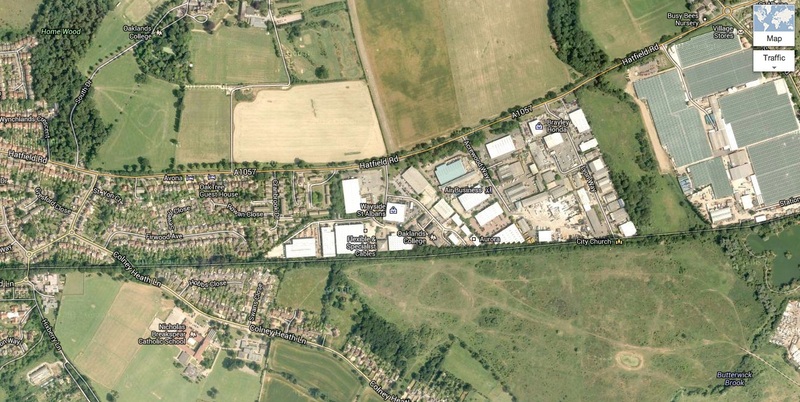 Industrial estate sites were reserved at Porters Wood, Ashley Road and Butterwick Wood. 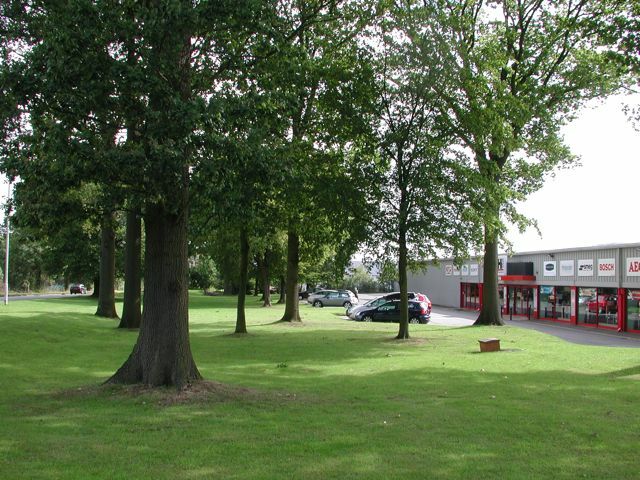 The Council was anxious to preserve the Butterwick Wood tree cover for at least one hundred metres back from the road. But there was also a conflicting policy of reserving a wide strip of land for the development of a service road, similar to that at Ellenbrook and Cranbrook Drive. No doubt it would also be useful for dialling the road at some point in the future. 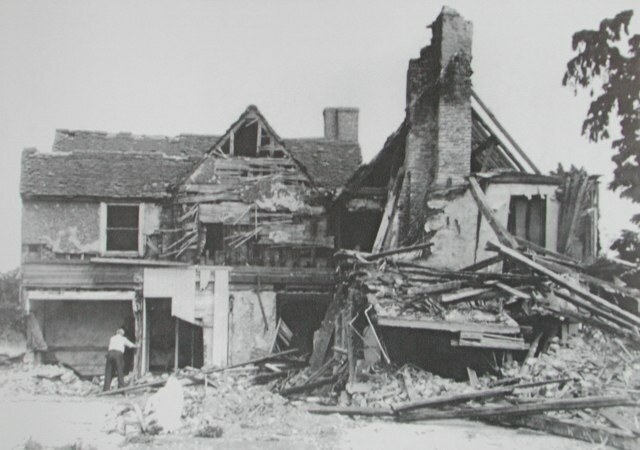 The first post-war company to move onto land further east was a well-established London Colney timber merchant called James Halsey. 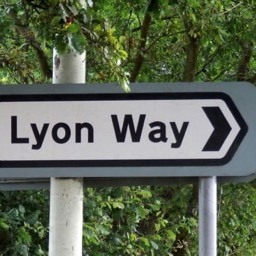 That firm was located just west of Lyon Way. 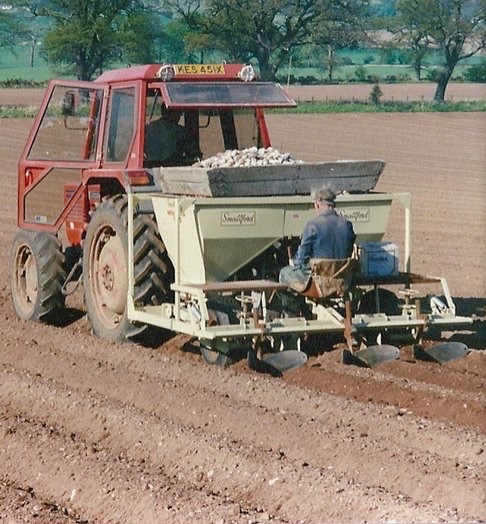 In the mid 1950s Alfred Hobbs (as in the former Hobbs Garage at Fleetville) began a company called Tractor Shafts, later renamed Smallford Planters. He purchased a plot of land next to Ballito Sports Ground. 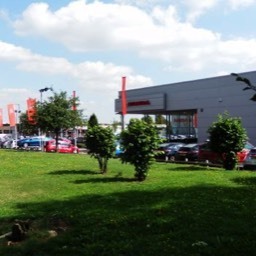 The latter is still a wedge of open space between the Glinwell Nurseries and the Glyn Hopkin Fiat premises. The stream known as Boggy Mead Spring and Smallford Brook, flows through it. 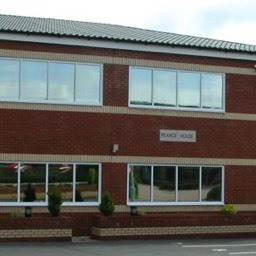 In the early 1960s Hatfield Transport, Lacre Ltd and Pearce Recycling all moved to sites in Acrewood Way. Franki Pile ground moving vehicle depot set up where is now the Homebase building. Then Ronnie Lyon arrived on the scene. He specialised in serviced sites that small companies could just move into. He purchased a large plot next to Tractor Shafts, acquiring the James Halsey yard in the process. 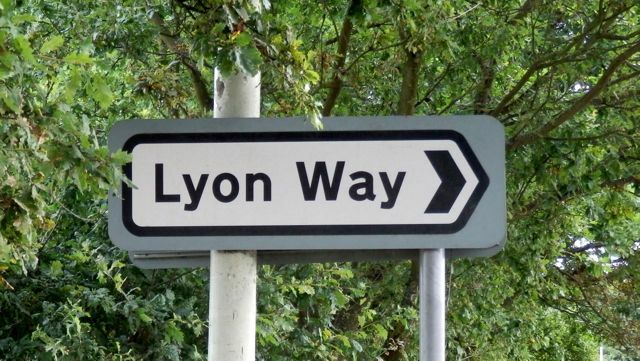 Typical of the early firms that moved to Lyon Way were motor engineering and plastic moulding trades. 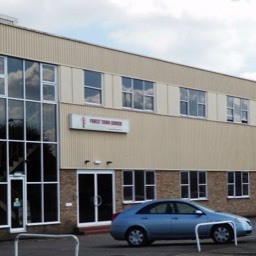 There were also firms moving from mixed land use parts of the city, such as Belpar Rubber from Albion Road. 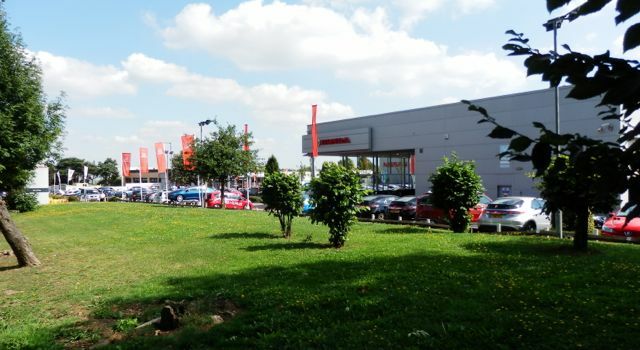 While firms such as de la Rue (security products) and wholesale grocery warehouses are no longer here, two churches have opened premises, and key sites on the frontage are occupied by car franchises, Glyn Hopkin for example. 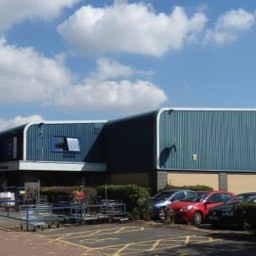 Retail stores, such as Dunelm and Homebase arrived. 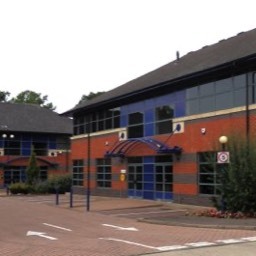 Small serviced offices, such as The Courtyard, have made an appearance at the Alban Way end. Some companies stay for a few years, expand their operations and then move on. Others are more long term. In the early years, of course, there were many unused plots. Today a new operation can only move in if another has downsized or already moved out. Tithe map (1840) with overprinted detail; critically, no woodland between the road and future railway. Butterwick Wood industrial area. Courtesy Google. Alfred Hobbs' original business was the motor garage at Fleetville. 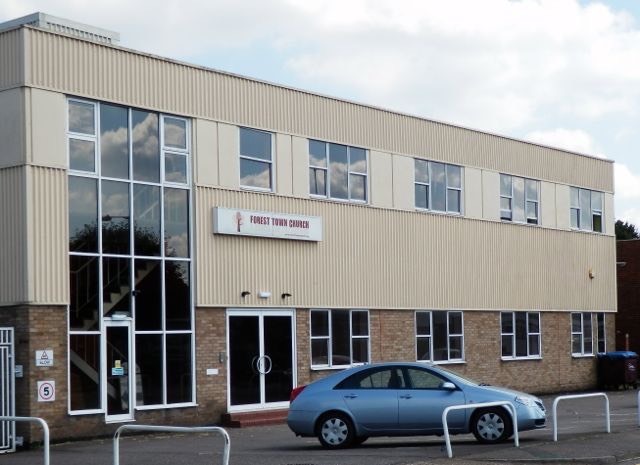 When this was sold a site was acquired at Butterwick (just east of where Alban Way was later laid) where the company manufactured shafts for tractors. 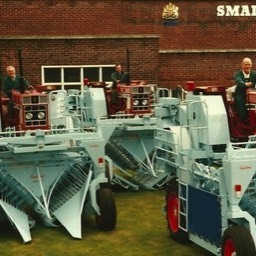 The company was renamed Smallford Planters after it diversified from manufacturing potato planters, into a range of soft fruit-picking machines, by Royal Appointment to the Queen at Sandringham estate. 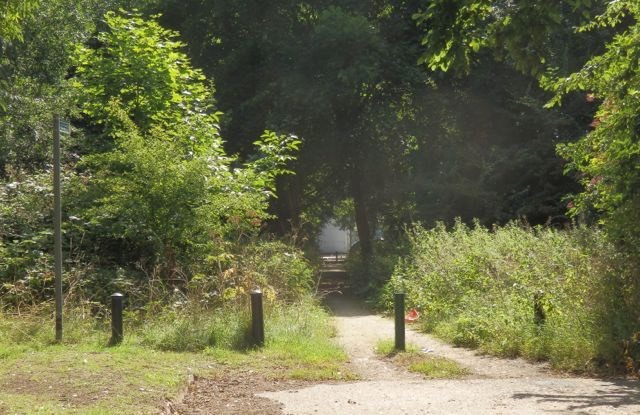 It would be advisable that no further development takes place between St Albans and Hatfield so as to further close the rural gap between those two towns.